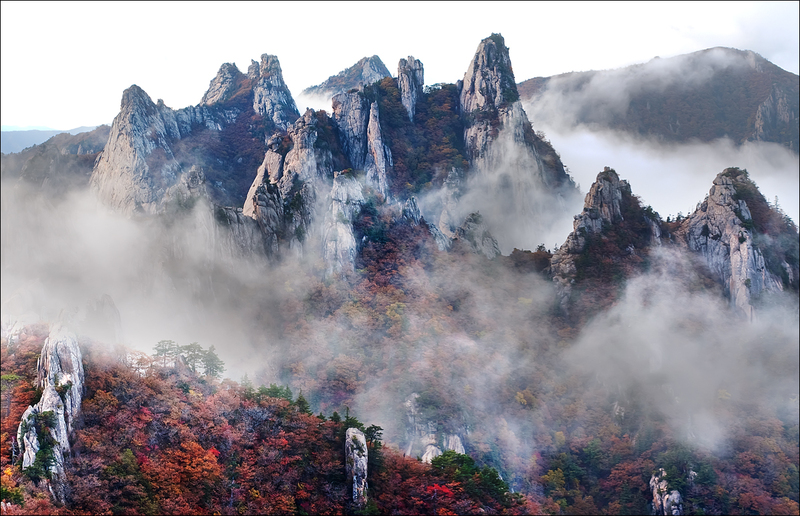 The peaks of the Seoraksan Mountains break through the clouds while jade-like water flows through the valleys creating breathtaking views and making this Koreas most famous national park. Due to the many rare species found here UNESCO designated this national park a Biosphere Preservation District in 1982. 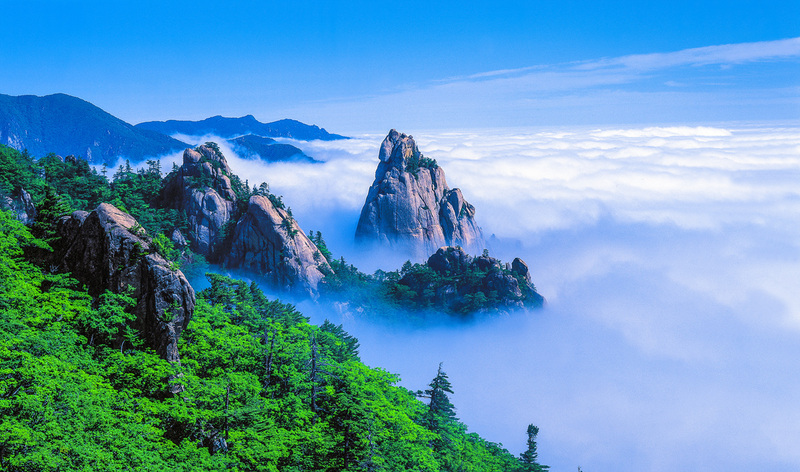 The mountain range located here stretches over an area of 373 ㎞² with the highest peak reaching 1,708 meters. The most famous tourist area near Mt. 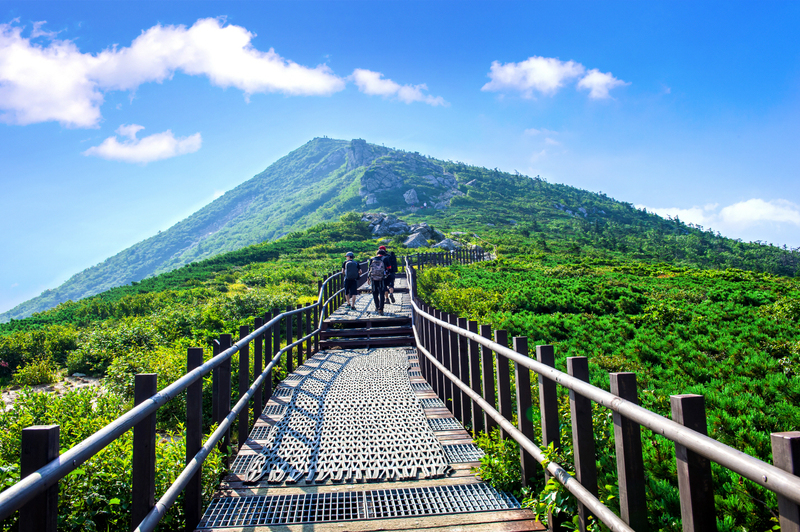 Seoraksan National Park is the city of Sokcho. The eastern part of Sokcho has sparkling water along the coast while the western part of the city connects to the most famous mountain of the national park. This area is said to be blessed with beautiful natural surroundings: beaches,ski resorts,hot springs and historic treasures. 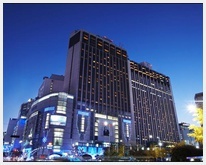 Accommodations in the area include hotels,condominiums and small motels. The facilities in the area are well-made to accommodate the three million annual visitors to the park. Gwongeumseong Fortress is the site of a castle ruins called Mt. 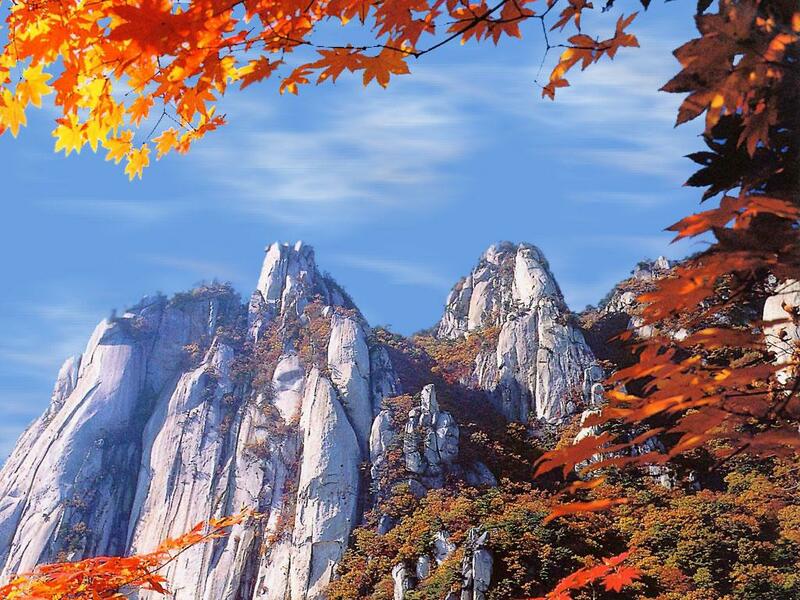 Seoraksan, and it is also known as Mt. Onggeumsan Castle, or Toto Castle. It is located on the steep Dol Mountain of Mt. Seoraksan Sogongwon area. It is believed to have been built by the 23rd King of the Goryeo Period (918~1392), Gojong (1213~1259 reign). It is also called Gwon-Kim Castle, as there is a legend that two generals named Gwon and Kim, built the castle to avoid war. At the left side of Sogongwon, past the Biryonggyo Bridge over the ravine, there is a path which leads to Gwongeumseong Castle, but it takes over an hour of travel through a steep, rocky path (2.5km), so cable cars are used. The cable car was installed by Dr. Gi-Sup Lee in 1971 and is still used by many tourists. It is operated from 7 a.m. to 6 or 6:30 p.m., departs every 7 minutes, and you can only purchase round-trip tickets at the ticket counter for that day. At the plateau of Gwongeumseong Castle there are 80 sections of rocks and you can see the East Sea and city of Sokcho. 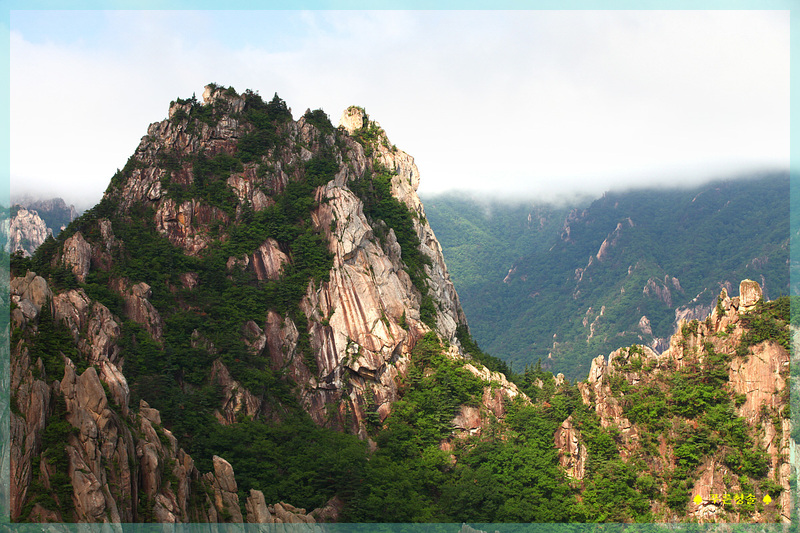 Also, to the west, you can see all kinds of fantastic rocks and stones which make up the Seoraksan Mountains. 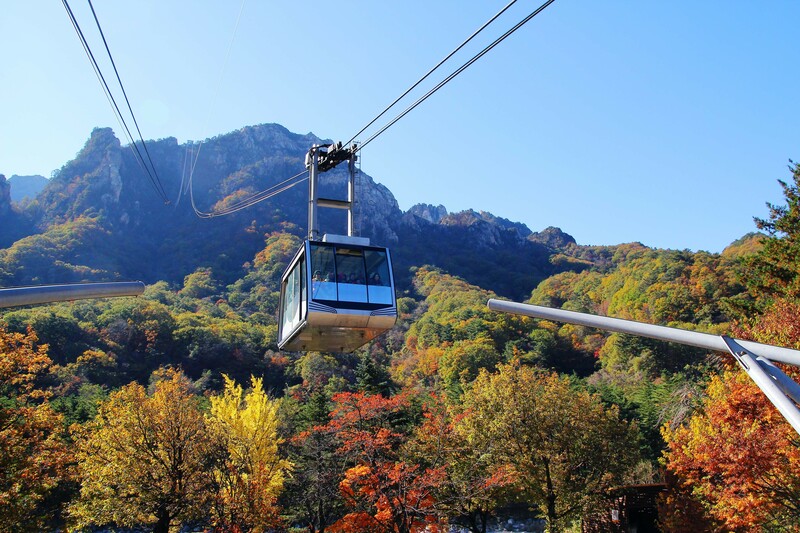 A cable car ride to Gwongeum Castle provides visitors with a view of the valleys which seem to boast of their respective beauty. Mt. Seorak provides different characteristics for each season. You can see wild flowers in the spring waterfalls and clear streams in the summer various colorful foliage in the fall and white snow in the winter.